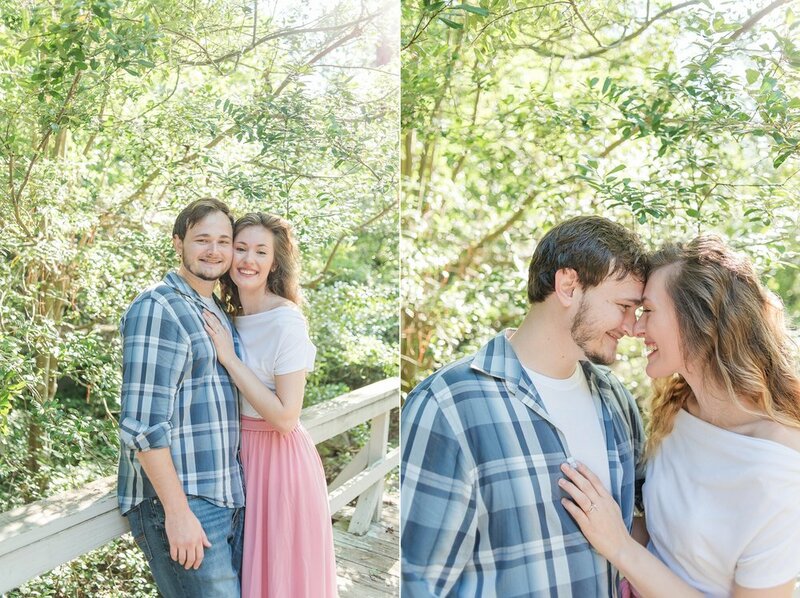 Tyler and Emily are some sweet friends of mine and they are getting married this fall! 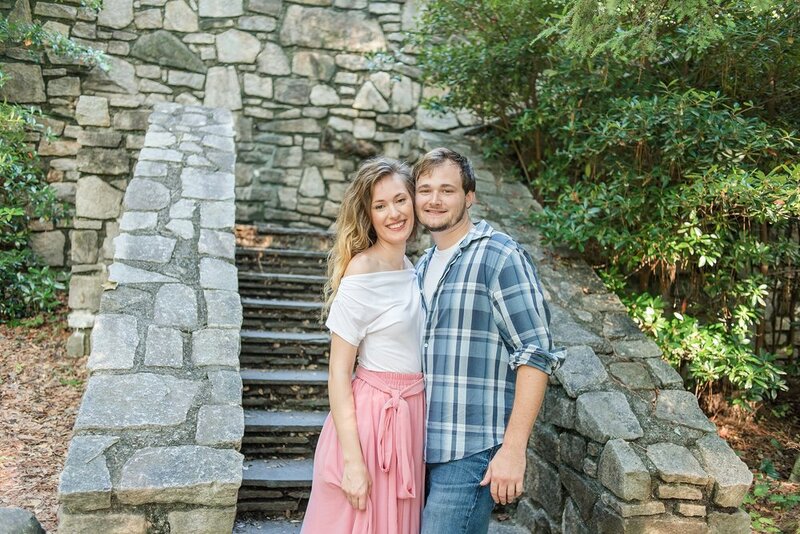 I remember when they first started dating, our friend group was so excited because we had never seen Tyler with a lady friend before! We were like....who is this girl?? 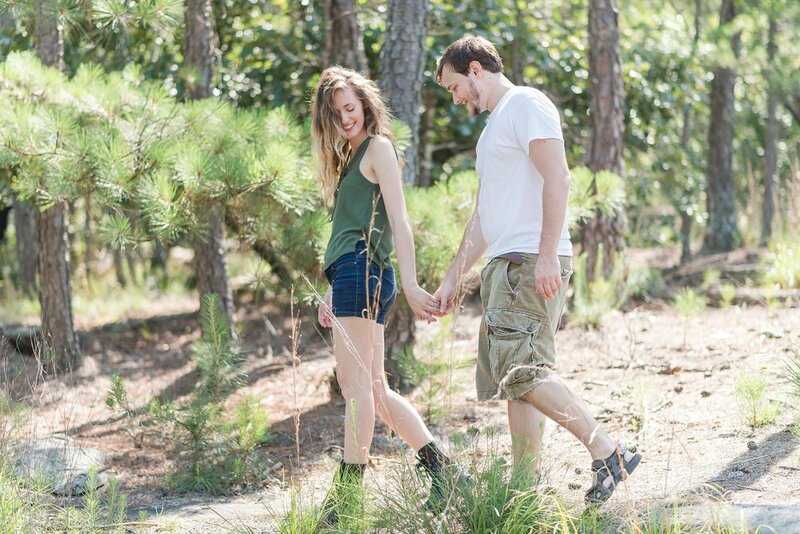 As protective as our friend group is, we quickly fell in love with Emily just as much as Tyler did. I've never seen two people more alike in their interests & personalities than these two! Once you meet them, you instantly know....these two are made for each other! Spunky, silly and full of laughter! 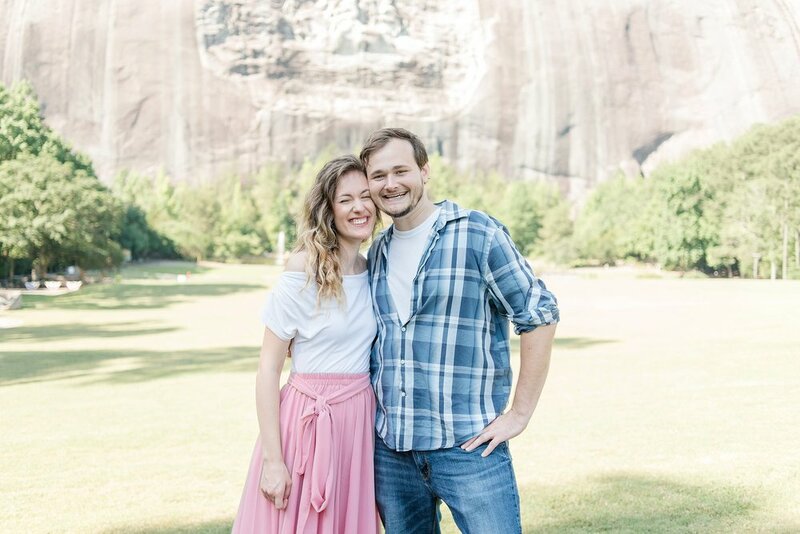 They both have passes to Stone Mountain (a frequent date night location for them) so it only made sense to take their engagement pictures there. 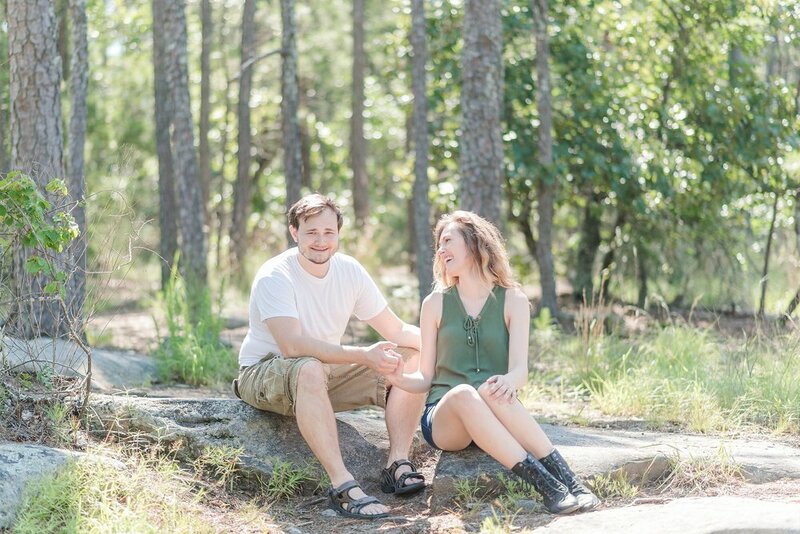 And I love to look of the mountain that we got towards the end of their session - keep scrolling! Maybe it's the colors or the scenery - but they really remind me of Jurassic Park. 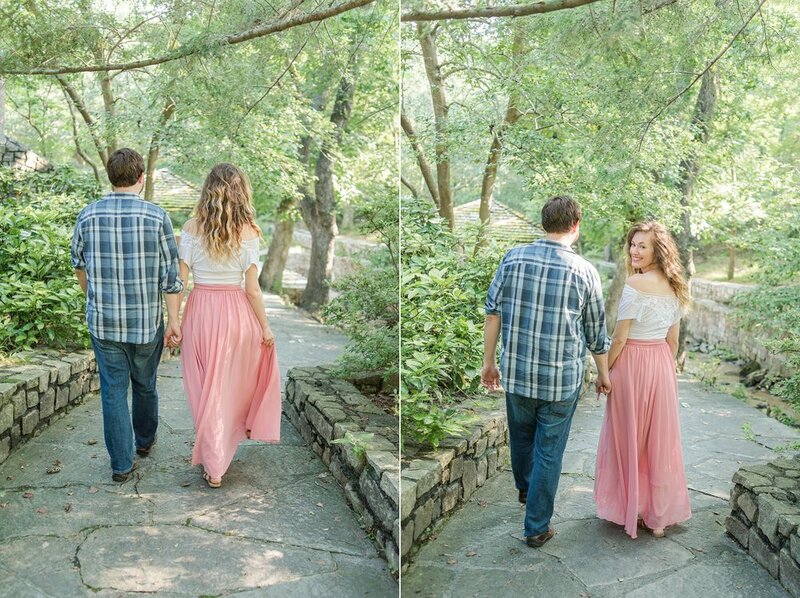 Looking to take engagement pictures or maybe some anniversary photos with your love? Contact me here - i'd love to hear from you!